Born at Winnipeg on 14 March 1924, his vocation was medicine. At 16, he tested his aptitude for it by working as a night orderly for six months. Then, in the Second World War, he served overseas with the medical corps of the Royal Canadian Air Force. On his return he studied medicine at the Manitoba Medical College and graduated in 1955 as a general practitioner. He practiced in the River Heights area of Winnipeg for 25 years, and in many cases was the family doctor for a generation of patients in one family. After the war, Shaw continued his involvement with the Air Force. He served overseas at #3 Fighter Wing CAF in Zwiebrucken, Germany, in the summer of 1953 and was active in the RCAF Reserve, #17 Wing from 1955 to 1964. He was awarded Canadian Forces Decoration in 1959. In 1960, he obtained his private pilot’s license and retired in 1964 with the rank of Wing Commander. His special love was history. An avid reader, his library eventually contained a large number of history books, some rare, particularly on the West and the Arctic. One book, Women of Red River, a gift from his eldest daughter to his wife, was of particular interest to him. In it he read of a stone house at St. Andrews, the original residence of an Arctic explorer, Captain William Kennedy, and his family. Intrigued and inspired by this information, he visited the historical house with his family in 1968 and subsequently purchased it. He began Red River House Museum as a private project. Shaw wanted it to reflect the cultural contributions of all Manitobans, especially Aboriginal peoples, as Captain Kennedy himself was born of a Cree mother and Scottish father. It was his centennial project and one to which he and his family devoted much time, energy, and research. His efforts brought William Kennedy from relative obscurity to a figure of provincial, if not national significance. It is now the government-owned Kennedy House in the River Road Heritage Parkway at St. Andrews, Manitoba. He served as President of the Manitoba Historical Society (1973-1976) and Chairman of the Macdonald House (Dalnavert) Completion Fund Committee. 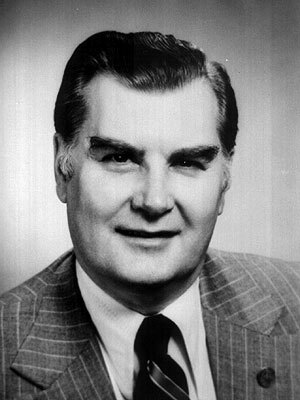 He was also Governer of Heritage Canada for the Prairie and Northwest Territories (1974-1979) and was instrumental in the decision of that board in September 1976 to commit its initial $500,000 to the Albert Street Conservation Project in Winnipeg, the beginning of historic restoration to the Exchange Area district. He held other official positions relating to history, including President of the Charleswood Historical Society (1976-1977), Vice-President of the Red River Valley Historical Society (1973-1977), and Vice-President of the Red River Valley Heritage Council of Manitoba (1974-1977). Other historical organizations to which he belonged included the American Association of State and Local History (as an institutional member, 1972-1977), Champlain Society (by personal invitation of its President, Professor W. L. Morton), and Association of Manitoba Museums. In commemoration of his historical works, he received a Margaret McWilliams Medal (Manitoba Historical Society, 1972), a Pioneer Historian Award (Red River Valley Historical Society, 1973), and a Queen Elizabeth II Silver Jubilee Medal (1977). In 1954, he married Margaret Elizabeth Munro and they subsequently had five children: Janet, Sandra, Margaret, Irene, and Edward. His wife, Margaret became an active member of the Manitoba Historical Society as well. She served on the MHS Program Committee for a number of years. Outside of history and medicine, Dr. Shaw wrote various articles for the Winnipeg Free Press, the Winnipeg Tribune, and other publications, and was a member of the Canadian Authors Association. Shaw died at Winnipeg on 1 January 1980 and was buried in the Transcona Cemetery. In tribute to his passion for history, Shaw’s family established the Dr. Edward Shaw Award in 1985 to encourage and support Manitoba Senior High students in their pursuit of historical knowledge. “Historian, writer Dr. E. C. Shaw dies at age of 55,” Winnipeg Free Press, 3 January 1980, page 3. Obituary, Winnipeg Free Press, 4 January 1980, page 39.